*Need a rod to pair with this reel? Check out these ice rod deals! 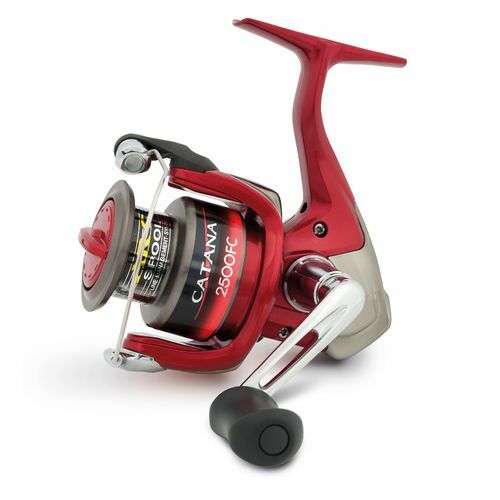 Own and use a Shimano Catana Spinning Reel? Take advantage of these Ice Fishing Deals? Give us your two-cents in the comments below. Posted on November 12, 2018 November 12, 2018 by IFDPosted in All Deals, Rods, Reels, & Tip UpsTagged 1000, catana, catana spinning, scheels, shimano, shimano catana, shimano catana spinning reel, shimano spinning, shimano spinning reel, spinning reel. I bought 2 of those from a local dealer by me and I love them. They are a great mid-range value reel with a very smooth drag which is the number 1 thing I look for in buying any reel. This is a great price and I may pick up a couple more!